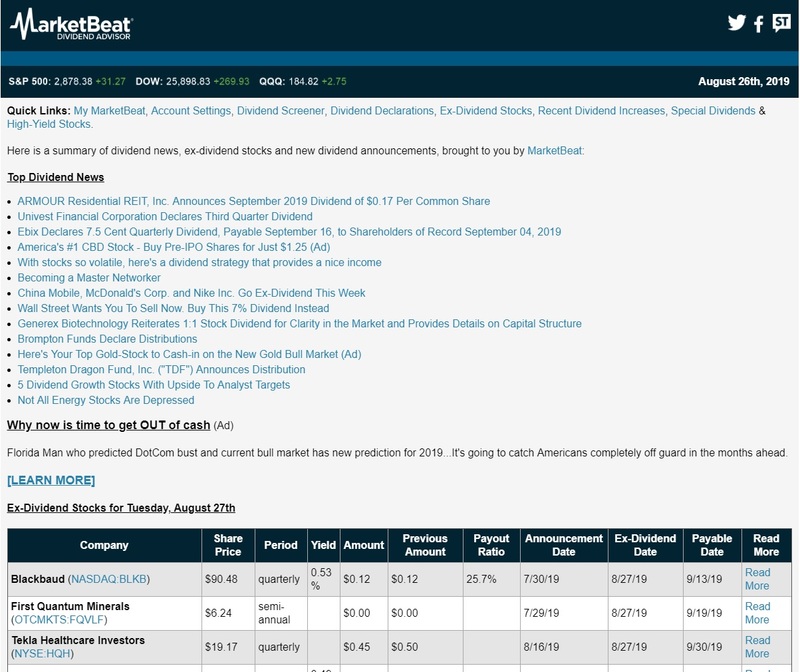 Enter your email address below to receive a daily summary of dividend news, stocks going ex-dividend and new dividend declarations with MarketBeat Dividend Advisor. Headlines and commentary for top dividend stocks. Daily stock ideas from MarketBeat's Dividend Idea Engine. A list of stocks going ex-dividend on the next trading day. A summary of new dividend declarations.